The two-big, go-to lineup Bill Self envisioned for his Kansas basketball team this season is no more. 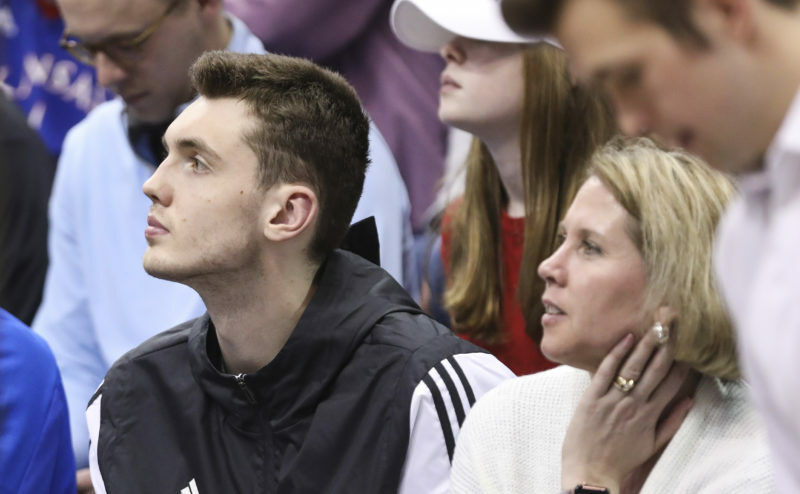 While that configuration technically is still available by sliding a substitute big man into the spot in the starting lineup Udoka Azubuike’s season-ending wrist injury left behind, Self has little incentive to take that route. The Jayhawks (12-2 overall, 1-1 Big 12), now ranked No. 7 in the country, will be better off by reinventing themselves midseason. For many reasons, KU’s 2019 four-guard lineup won’t look anything like its predecessors from the two previous seasons. We all know by now the four guards on KU’s perimeter aren’t going to give opponents fits with their 3-point shooting the way lineups featuring Frank Mason III, Devonte’ Graham, Svi Mykhailiuk or Malik Newman could the past two years. The only starter left from KU’s 2018 Final Four run now is Lagerald Vick. And while the senior is obviously this group’s best shooter, there’s a streakiness to his 3-point accuracy, and Vick doesn’t have enough long-range threats around him to suddenly make perimeter shooting a strength for Kansas. 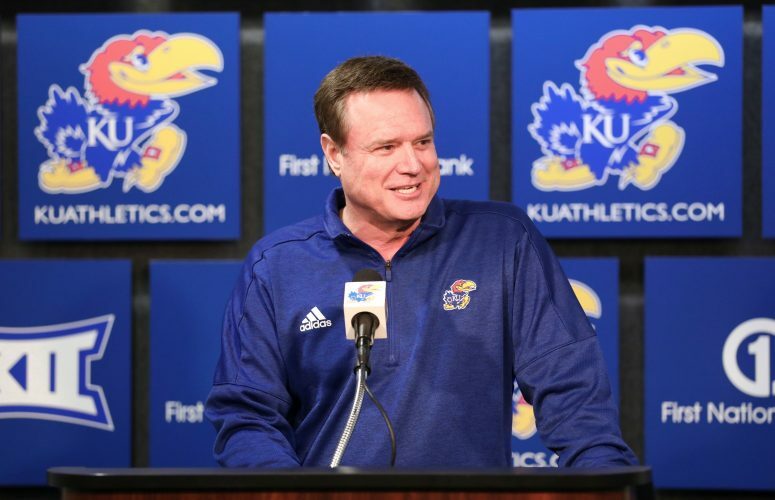 “If you can put Frank and Josh (Jackson) and Svi and Devonte’ out there, I think it’s damn good, us playing four guards,” Self said during his Monday press conference. Obviously, that won’t be the case. So Self and his staff will have to hit the lab and cook up a fresh four-guard offense. This next-generation lineup won’t be built around a center, either. The past two seasons, the Jayhawks played their four guards around Landen Lucas and Azubuike. 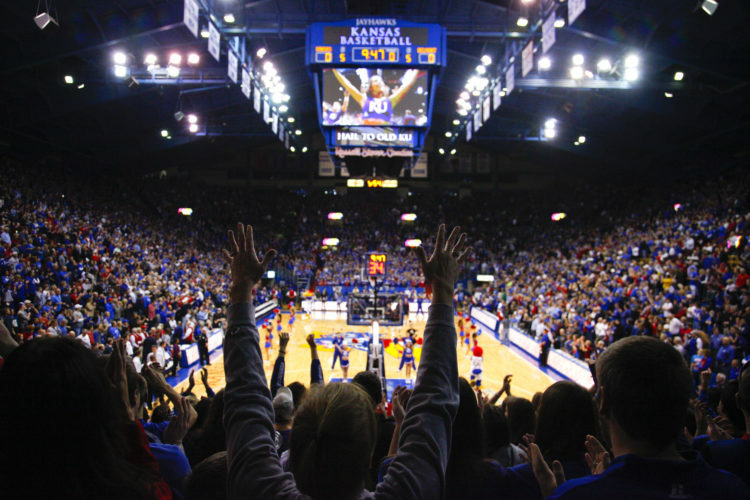 From here on out, that interior job is Dedric Lawson’s. But Lawson, as Self aptly put it, is “not a 5.” So there’s no purpose in tasking the 6-foot-9 redshirt junior forward with center-esque responsibilities exclusively. “He’s much better when he can face and drive a guy or whatever than just root for post position. So we’ll tweak some things,” Self made clear. Kansas will have to play through its best player, Lawson, without trying to convert him into a low-post presence and try to find ways to utilize him as a passer, too. And while the Jayhawks are making that adjustment, it won’t be as simple as having Lawson primarily kick out to 3-point shooters. 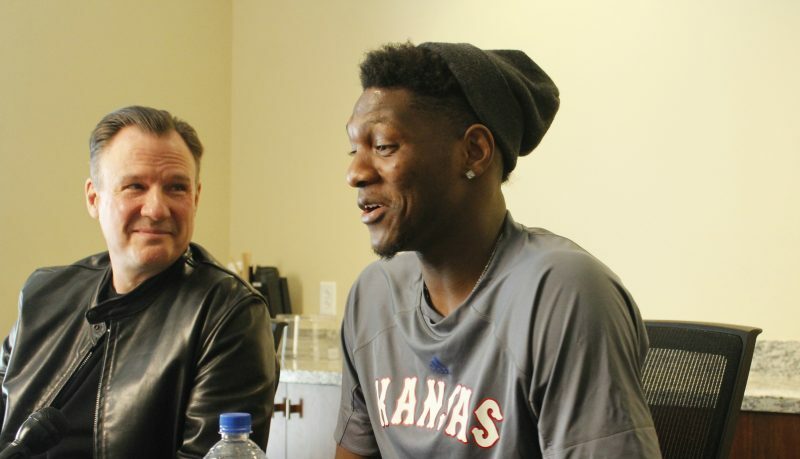 Vick (41 of 92) is the only proven and trustworthy marksman in KU’s backcourt. The Jayhawks would have to bank on significant improvements from sophomore Marcus Garrett (4 of 22), redshirt sophomore Charlie Moore (12 of 41) and freshman Quentin Grimes (17 of 54), while asking freshman point guard Devon Dotson (12 of 28) to take more 3-pointers in order for that strategy to work. Self’s too flexible as a coach and far too smart to think his latest four-guard lineup should mirror the past two seasons in functionality. So what will Self’s solution be? The coach’s coy response leads one to think Self actually already has landed on what he figures will be a good answer to KU’s lineup problem, and he just doesn’t yet want to reveal much on the matter (he also stated he didn’t know “yet” whether Garrett will be the fourth starting guard moving forward). It’s not a favorable situation, but some unexpected recalibrating probably invigorates Self and his assistants to some degree. 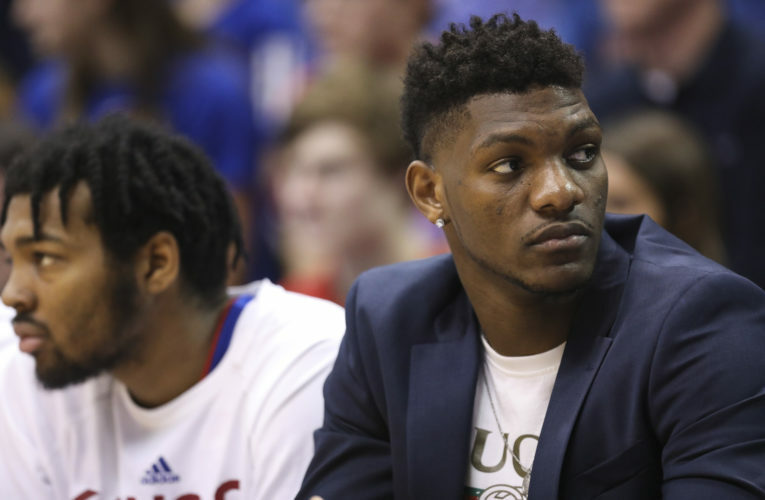 The 16th-year KU coach recalled Monday how the team took on a similar situation during Wayne Simien’s senior season, when the standout forward injured his hand. “We totally changed everything in a two-day period. And, thankfully, we did, because it stuck with us,” Self shared. 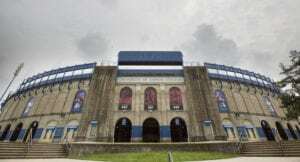 Back in the 2004-05 season, KU went 4-0 in Simien’s absence with top-10 wins over Georgia Tech and Kentucky. That team had senior guards Aaron Miles, Michael Lee and Keith Langford, and Simien’s injury wasn’t nearly as devastating as Azubuike’s. 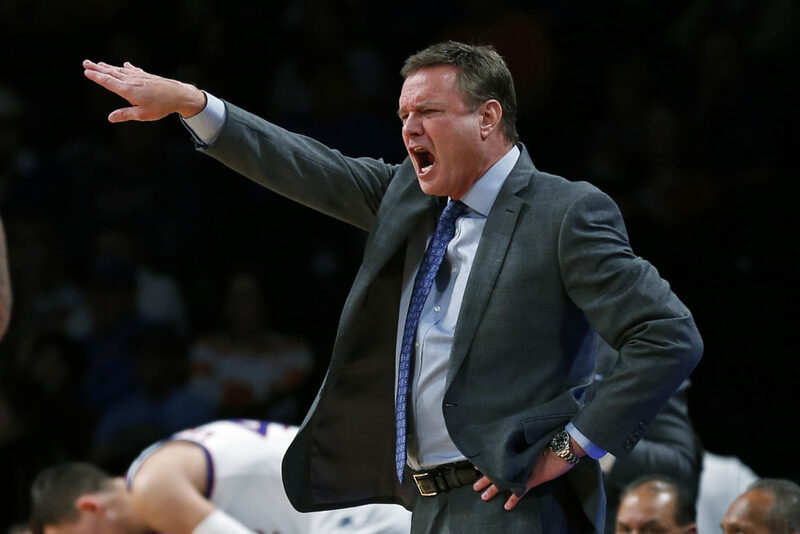 So this latest test will be far more troublesome than that instance, and may prove to be one of the most difficult modifications of the coach’s tenure at KU. Whatever it takes to squeeze an efficient offense out of this roster, Self and his assistants will try and find a way. And perhaps taking the redshirt off freshman guard Ochai Agbaji will be part of that equation.